HBSE Compartment exam results declared for the 10th and 12th class. Haryana Board of School Education, Bhiwani conducted the compartment examinations in the month of July. Board has made the results available on the website www.bseh.org.in. Those students who want their answer sheets to be revaluated can apply for that. But, applications for revaluation must be submitted before August 18. Class 12th Pass Percentage: A total of 58,693 students have appeared for the compartment exams of which, 21953 have got a compartment. 49.12 percent students of class 12th have passed the examination. Girls acquired a pass percentage of 51.60 percent and it is 47.81 percent for boys. 47.40 percent students of class 10th have passed the exams. 48.44 percent of total boys have qualified the examination while girls have acquired 45.96 pass percentage. A total of 20,562 students appeared for the compartment exams of which, 9746 have passed the exam while 8198 have got a compartment, as stated by the Indian Express. Students must note that the results can be accessed through online platform of the board that is www.bseh.org.in. After visiting this website, aspirants need to reach out “what’s new” section. A link for the compartment results will be given there. Select the link of class 12th or 10th. Then, a new page will open where students need to enter their roll number, date of birth etc..
Then they will be able to figure out their performance. And, if found any kind of discrepancy in the answer sheets, then apply online for the revaluation. For the annual examinations, class 12th results were announced on 18th May and pass percentage was 63.84%. Total 72.38 percent girls have passed the tests while 57.10 perent boys are have qualified. Total, 2,22,338 students attended the exams of which, 1,41,973 passed while 49,163 students got a compartment. 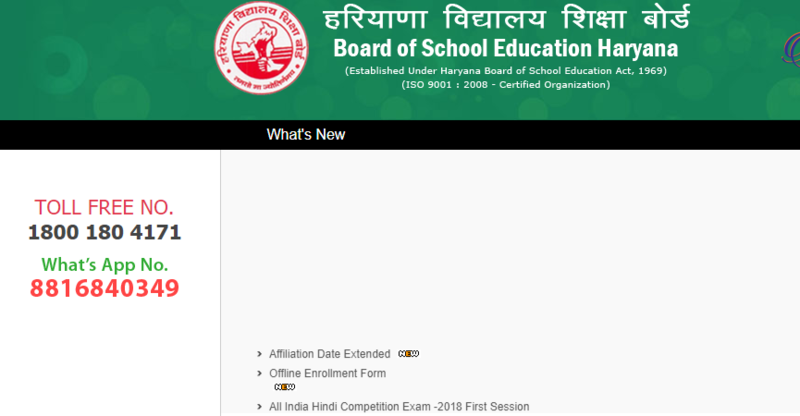 On 21st May, Haryana Board of School Education published the results for class 10th. Of total, 51.15% students have passed the examination. Pass percentage of girls was 55.34% while 47.61% for boys. During class 10th and 12th exams, the board captured 4976 unfair practices. The cheating cases are lesser than the last year when board caught 5300 students for unfair means. Get all the latest updates on ALL INDIA ROUNDUP.